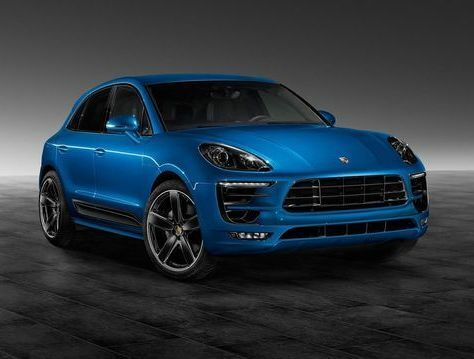 After the two creations based on Porsche 911 Turbo and Turbo Cabriolet, the customisation of Porsche service, Porsche Exclusive, unveils its latest one-off on the last born of the manufacturer, The Macan S.
Based on the Macan S, this creation features a turquoise blue color that comes to marry with black rims lightweight alloy Sport Classic. It is also equipped with bi-xenon headlamps; the bottom is painted black, mirror Sport Design as well as side skirts in gloss black. The interior is dressed completely in black leather (with logo on the headrest of the front seats) and the whole cabin adopts blue accents found on the dashboard but also against the door. Also note the inscription “Macan S” on the center armrest and door sills.